Starting October 6th, Fox News Radio’s Fox Across America will hold a weeklong American Idol-style competition featuring bloggers from BlogTalkRadio. BlogTalkRadio is a free, web-based talk radio platform that allows users to hold live internet radio talk shows that are then archived as podcasts. The competition starts with four liberal and four conservative bloggers. In each round, two bloggers will compete one-on-one, with each being given five minutes to respond to the same topic. Listeners will then vote, either through an online poll or text message, and the winner will advance to the next round. Friday, October 10th, the winning liberal will compete against the winning conservative. 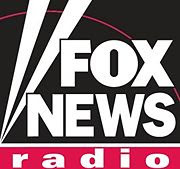 The two winners, along with host Spencer Hughes, will co-host a weeklong election special live on Fox News Radio at 8 a.m. the week of October 20th.